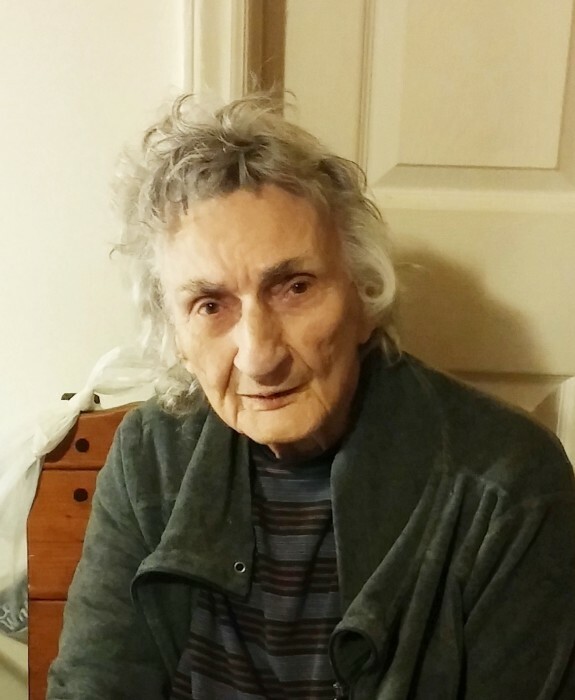 Gladiola Bailey Tritt age 94 of Dryden, VA was born Friday, March 27, 1925 in Keokee, VA and passed away Thursday, March 28, 2019 at Heritage Hall Nursing Home in Big Stone Gap, VA after a brief stay. She had been a homemaker and of the Christian Faith. She was a loving mother, enjoyed working in the garden, her flowers and house plants. She was preceded in death by her husband Herman Lee Tritt, parents John and Nancy Bailey, two sisters Francis Ward and Bernice Kelly, two brothers JB Bailey and Kelly Bailey, two daughters-in-law Mary Tritt and Kiara Tritt. Gladiola is survived by eight sons Bruce and (Janice) Tritt, Gail and (Rosalee) Tritt, Dahl Tritt, Dennis an (Kay) Tritt, Chris Tritt, Cliff Tritt and (Terri) Tritt, Tim Tritt and (Lisa) Tritt, Adam and (Lynn) Tritt, one daughter Gereldine "Geri" and (Mitch) Queen, 27 grandchildren, 26 great-grandchildren, 2 great-great-grandchildren, three sisters Charlene and (Ted) Kelly, Barbara Ward and Susie Kelly and many nieces, nephews, cousins and a host of other relatives and friends. Visitation will be from 11:30 AM until 1:30 PM Sunday, March 31, 2019 at the Province Funeral Home in Pennington Gap, VA. Funeral services will be held at 1:30 PM with Paul Davis, Jr. officiating. Burial will follow at the Bailey Cemetery in Dryden, VA. Memorials and condolences can be sent to the family by visiting www.provincefuneralhome.com We are located at 42098 E. Morgan Ave. Pennington Gap, VA 24277. Phone 276-546-2456 Province Funeral Homes are honored to be serving the family of Gladiola Bailey Tritt.